This book provides an alternative was to access the popular Transum Mathematics ‘Starters of the Day’ which have been used by teachers all over the world to provide an interesting, engaging and varied start to mathematics lessons. In the pages of this book you will find screen shots of the first hundred lesson starters along with the answers (answers for the online versions are only available to Transum subscribers). Transum subscribers have access to the online collection but the PDF version is available for anyone to buy. Forty ideas for the mathematics teacher of ways to end a lesson. Ideas range from recap plenaries to teacher versus class games; from class challenges to reflective moments. Suitable for a pupils with a wide range of ages and abilities. Don’t waste the opportunity to finish the day’s mathematics in a meaningful, worthwhile and memorable way. It is often very difficult choosing presents for family and friends but so here are some mathematics-related gifts chosen and recommended by Transum Mathematics. Here's a great board game that will give any family with school-aged kids hours of worthwhile play. Family time is ideal for board games and this one is great fun at any time of year. Games can be adapted to suit many levels of Mathematical ability. You are buying a (driverless) car. One vehicle is programmed to save as many lives as possible in a collision. Another promises to prioritize the lives of its passengers. Which do you choose? Whatever exam board you use for GCSE Mathematics, this book by David Rayner remains an all-round winner. With this latest edition presented in full colour and completely updated for the new GCSE(9-1) specifications, this uniquely effective text continues to increase your chance of obtaining a good grade. Have you read Craig's book yet? "How I wish I’d taught maths' is an extraordinary and important book. Part guide to research, part memoir, part survival handbook, it’s a wonderfully accessible guide to the latest research on teaching mathematics, presented in a disarmingly honest and readable way. I know of no other book that presents as much usable research evidence on the dos and don’ts of mathematics teaching in such a clear and practical way. No matter how long you have been doing it, if you teach mathematics—from primary school to university—this book is for you." Dylan Wiliam, Emeritus Professor of Educational Assessment, UCL. I received this book as a Christmas present and was most impressed with the range and depth of the content. 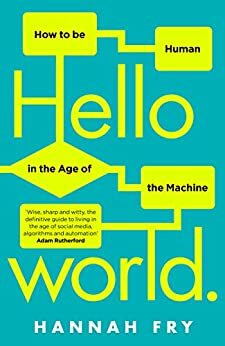 I also received this book as a present and was similarly impressed with the range and depth of the content and the amount of detail in the answer section. This is the scientific calculator that I currently carry around for day-to-day calculations. It is ideal for GCSE and other Secondary school mathematics. It has a Visually Perfect Algebraic Method (V.P.A.M.) screen which allows the entering of equations in a way which fractions and square roots are displayed in the way they would normally be written. 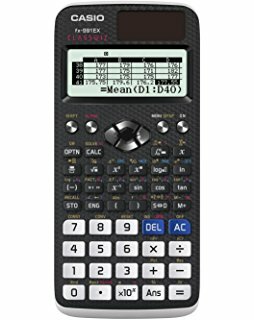 There is currently a lot of talk about this new calculator being the best in its price range for use in the Maths classroom. The new ClassWiz features a high-resolution display making it easier to view numerical formulas and symbols but it isn't a graphical calculator as such (it has the capacity to draw graphs on your smart phone or tablet, via a scannable QR code and an app). As well as basic spreadsheet mode and an equation solving feature you also get the ability to solve quadratic, cubic or quartic polynomial inequalities and the answer is given just as it should be written down, using the correct inequality symbols! It’s a bit of a tradition to give puzzles as gifts to nieces and nephews. 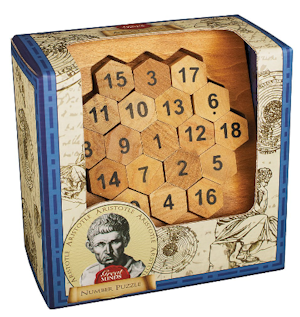 This puzzle is ideal for the keen puzzle solver who would like a challenge that will continue for many years. Your access to the majority of the Transum resources continues to be free but you can help support the continued growth of the website by doing your Amazon shopping using the links on this page. Here is an Amazon search box to get you started.